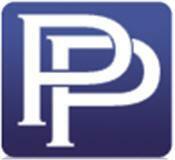 Thank you for visiting the West Legal Profile of Polizzotto & Polizzotto, LLC, Attorneys at Law. With offices in Brooklyn, Staten Island, and Garden City we best represent individuals and businesses in bothNew York and New Jersey . Our attorneys are members of the New York and New Jersey Bar Associations, the New York State Trial Lawyers Association, the National Academy of Elder Law, the National Academy of Probate Attorneys, the American Bar Association, and the International Association for Financial Planning. With offices in Brooklyn and Staten Island, the attorneys at Polizzotto & Polizzotto, LLC, represent clients throughout New York and New Jersey, including the Five Boroughs of New York City-NYC (Brooklyn, Staten Island, Queens, Manhattan, and the Bronx), and Garden City, Long Island. Our lawyers also represent residents of Nassau County as well as other counties throughout New York and New Jersey.